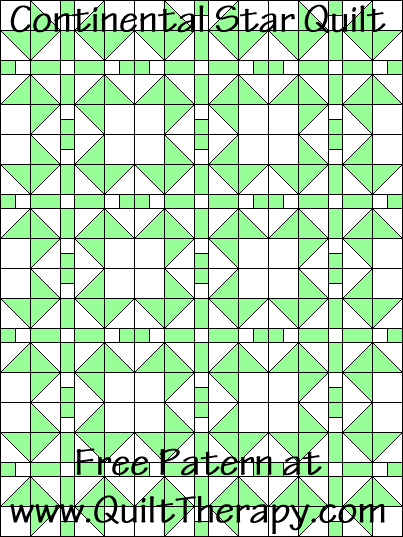 Green: Cut FOUR (4) 1 3/4″ squares. Green: Cut FOUR (4) 1 3/4″ x 3″ strips. 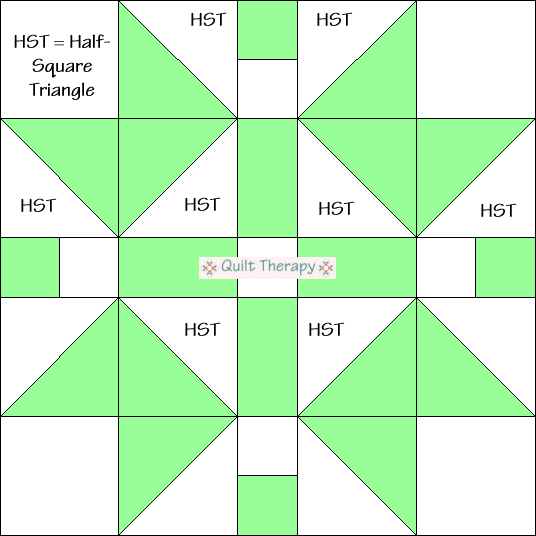 Green: Cut SIX (6) 3 1/2″ squares. On the back side of each square draw a diagonal line, corner-to-corner, ONE (1) time. White: Cut FOUR (4) 3″ squares. 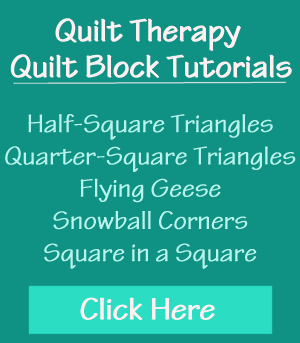 White: Cut FIVE (5) 1 3/4″ squares. 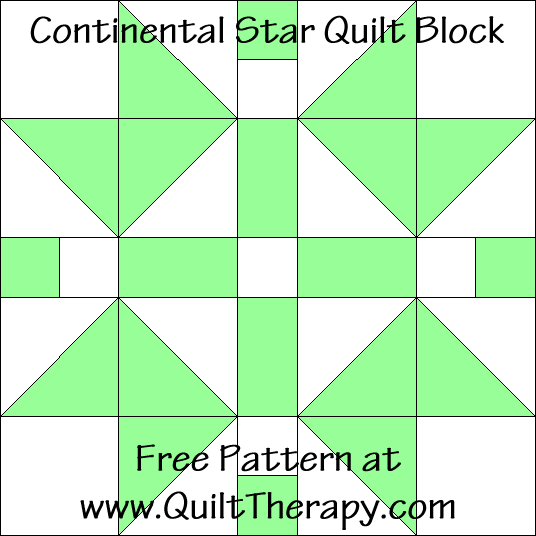 If you make TWELVE (12) “Continental Star Quilt Blocks”, you would end up with the quilt top pictured above. The size will be 36″ x 48″ finished, 36 1/2″ x 48 1/2″ unfinished. 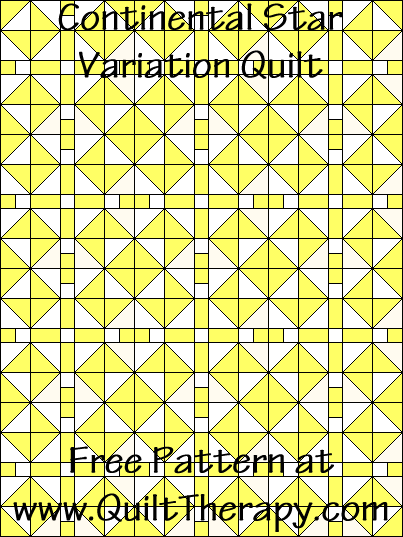 Yellow: Cut FOUR (4) 1 3/4″ squares. Yellow: Cut FOUR (4) 1 3/4″ x 3″ strips. 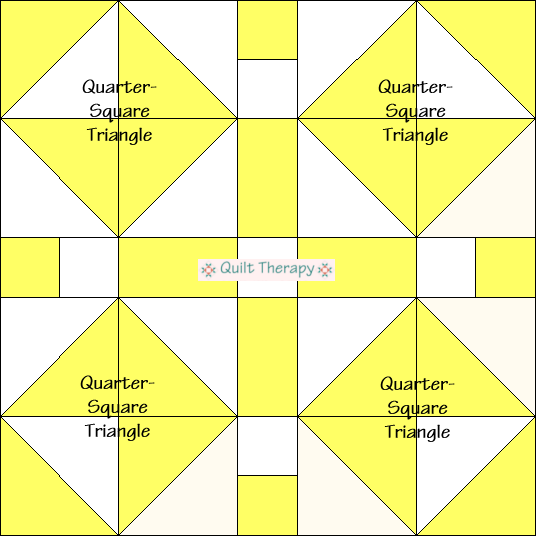 Yellow: Cut EIGHT (8) 3 1/2″ squares. On the back side of each square draw a diagonal line, corner-to-corner, ONE (1) time. 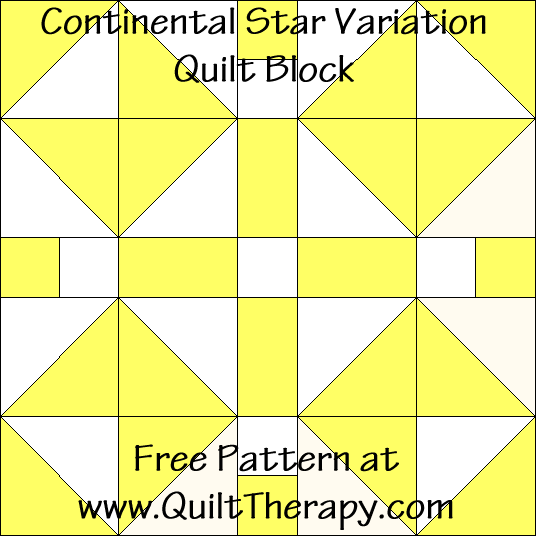 If you make TWELVE (12) “Continental Star Variation Quilt Blocks”, you would end up with the quilt top pictured above. The size will be 36″ x 48″ finished, 36 1/2″ x 48 1/2″ unfinished.